1) From mountain pose, shift your weight into your right leg. 2) Bend the left knee, bringing the left foot off the floor. 3) Hold your left big toe with your left hand in a yogi toe lock. 4) Straighten your left leg as much as possible. Keep both hips squared to the front of the room. 5) Try to keep the spine straight, the shoulders sliding down your back, and your left arm in the socket. 6) Release the left foot and repeat the pose on the other side. If you can’t comfortably straighten your lifted leg, use a yogo strap around the ball of the lifted foot. Hold the strap and straighten the leg. You can bend your raided leg and hold onto the knee instead. Try coming into the pose from uttanasana. Grasp your toe in the forward bending position and come all the way up to stand while keeping hold of the toe. Once you are up, try forward bending just your torso over the lifted leg or opening the lifted leg out to to the side. 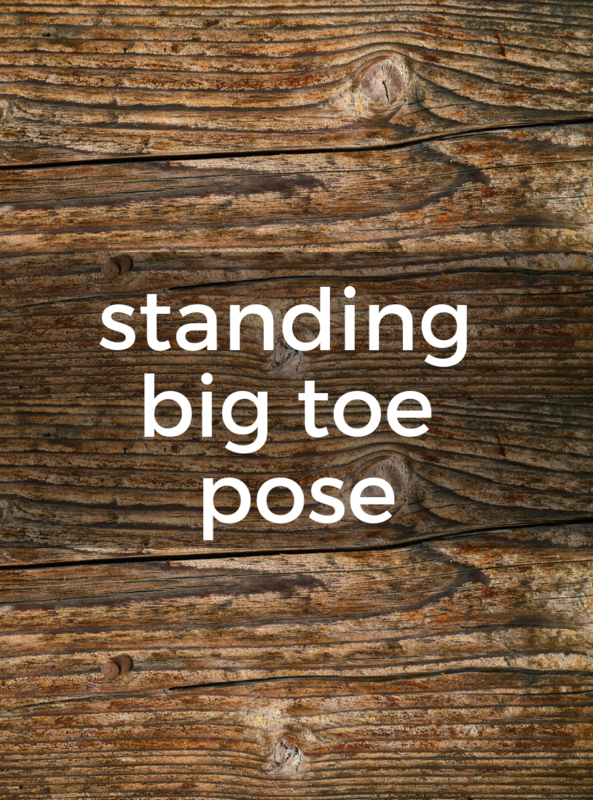 When coming out of the pose, release your grip on your toe and try to keep your lifted leg high. Hold for 5-10 breaths before releasing the leg.